Nobody knows who came up with the idea of dedicating a whole 24 hours to this day, but one thing is certain: you can always find a good reason to smile. Smile Power Day is the perfect excuse to shine your pearly whites and show off those dimples. As a call center professional, you know how powerful smiling is. Whether you’re a manager or an agent, you should go into every interaction with a smile and an optimistic attitude. Sometimes agents really need to focus on having a positive outlook, especially on days when they’re dealing with irate callers. Smiling structurally changes the way the noises come from your mouth, making them sound slightly cheerier. This is why a smiling call center agent can positively shape the customer experience. If the caller senses that you have a positive outlook on the situation, they will likely feel less stressed and are more likely to respond in a similar fashion. Smiles can have a contagious two-way effect – it’s not Smile Power Day unless you can put a smile on someone else’s face too. There are also ways for managers to help agents stay more positive. Rather than telling them to smile, why not implement a way to encourage the smile. You can print out oversized pictures with funny animals and have agents place them at their desks. They can pick a picture that resonates with them, and at times when they need a little friendly encouragement, they’ll have a silly animal to turn to; this is sure to keep them grinning from ear to ear. Every time you smile you throw a little party in your brain, so challenge yourself to smile more often today. Use #SmilePowerDay on social media to capture your feel-good day, and even share a smiley-selfie. 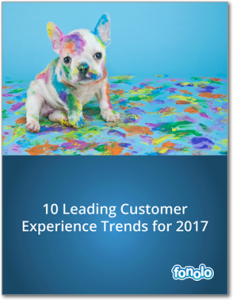 You’re sure to stay ahead of the competition with these top 10 CX trends. Totally agree! Smiling is always the best way to deal with the people, clients and everyone out there. 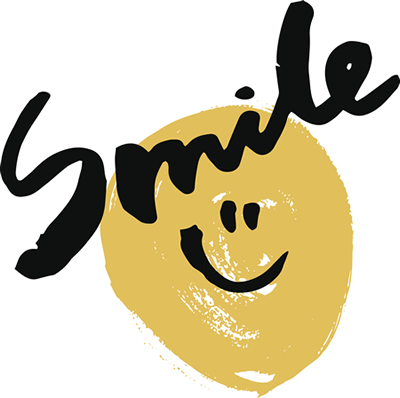 Smiling can truly improve the customer experience and keep the business well going.